There are many ways Stephen Sondheim’s musicals transcend, enliven, and exceed the expectations of that genre. 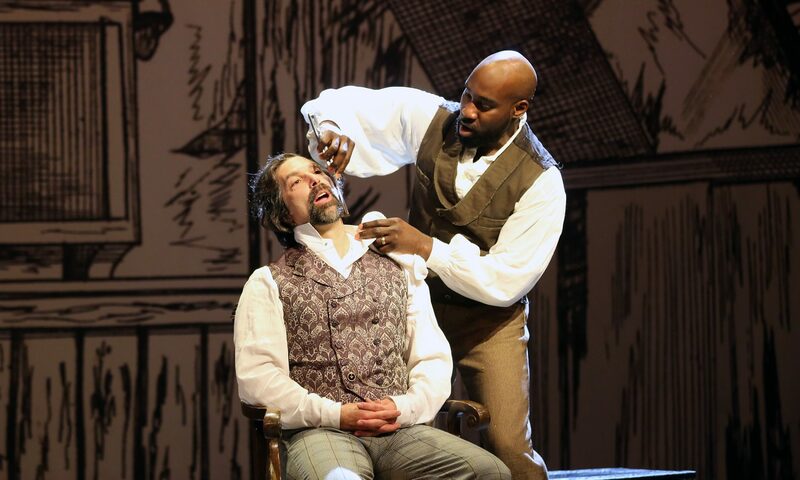 Adapting a Victorian-era “penny dreadful”-inspired play about a London barber supplying human ingredients to his next-door pie shop is only one. He’s animated the lives of gangsters, assassins, fairy tale characters and a French pointillist painter but in Sweeney Todd: The Demon Barber of Fleet Street, the acknowledged and most iconoclastic icon of American musical theater offers his most musically sophisticated compositions, complex orchestration and razor-sharp (get it?) lyrics as winningly over the top as required for this deliciously insane tale of revenge on the person of the law, and everybody else. Sundays, Tuesdays, Wednesdays, Thursdays 7:30 p.m.